Garden City, South Carolina sits just south of Myrtle Beach in a quieter, more residential area. This relaxing vacation spot is best known for its quiet, uncrowded beaches. In the heart of Garden City, you’ll find beach bars, live music, and dancing at the pier. Fishing is also popular. A few miles south, Murrells Inlet and Surfside Beach offer additional attractions and delicious local seafood restaurants. To the north, Myrtle Beach’s abundance of attractions and entertainment are close enough to enjoy. If you’re looking to relax, the Sea Mystique is the place to stay. This small condo property features recently renovated two bedroom accommodations that can comfortably sleep up to six. Full kitchens and quiet bedrooms overlook the Atlantic Ocean, and did we mention that this property is oceanfront? 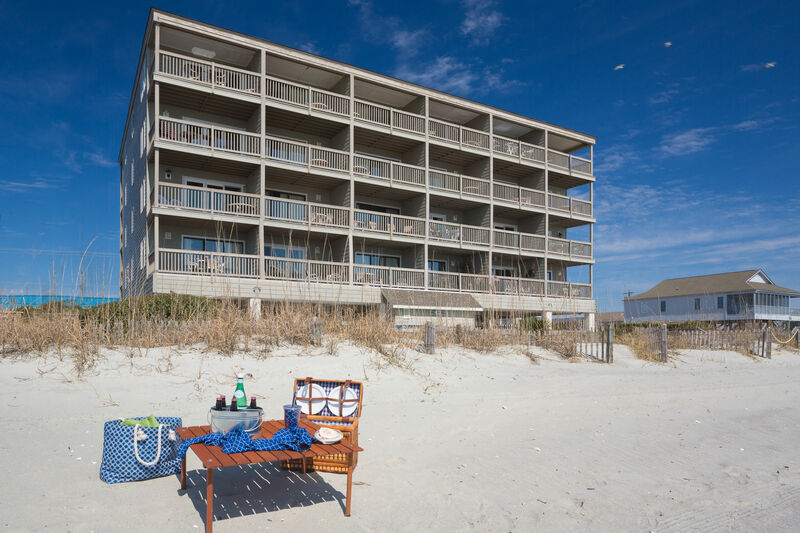 Onsite beach access is just steps past an outdoor pool and picnic area with grills, the perfect spots to gather with your family and friends.